Feisty independent Greg Orman is polling well against GOP Senator Pat Roberts, a shill for Big Money in this reddest of red states. Kansas Senator Pat Roberts, one of the least worthy placeholders in minority leader Mitch McConnell’s Republican caucus, suddenly came alive during a September debate over whether to amend the Constitution to get big money out of politics. Roberts, whose forty-seven years as a congressional aide, House member and senator have been spent almost entirely in the shadows, stepped into the limelight as the most ardent defender of the theory that multinational corporations and rich people should, simply by virtue of their wealth, be allowed to have more influence over elections than working people, small farmers and small-business owners. That’s an outrageously out-of-touch stance. But it would not have earned Roberts much attention except for the fact that he has unexpectedly become one of the most vulnerable incumbents in a volatile election year. The 55-45 Democratic advantage in the Senate is likely to shrink, perhaps to a point where control could flip. But with the fight coming down to a handful of contests, the defeat of even a single supposedly safe Republican could upset McConnell’s dream of taking over the chamber. Roberts should have been the safest of the safe Republicans. Rarely has he faced serious competition in a state that hasn’t elected a Democratic senator since 1930. But this year, he’s had it rough: Roberts won just 48 percent of the Republican primary vote, and now, after the withdrawal of the Democratic nominee this fall, the polls have him locked in a tight race with independent challenger Greg Orman. Orman is a relative centrist who rips both parties. 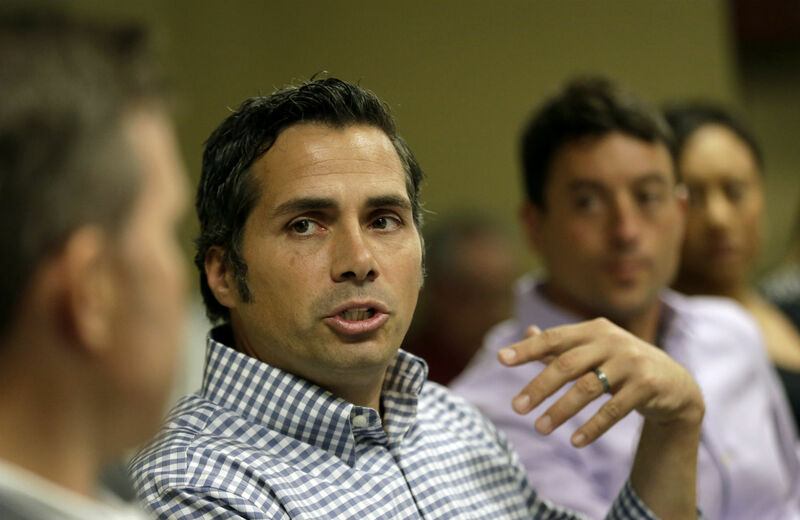 Like Maine’s independent senator, Angus King, the Kansan is keeping his options open regarding which party caucus he’ll join if he wins, though Orman is now attracting substantial interest and support from Democrats. Although Orman is fiscally conservative, he is also pro-choice, believes in climate change and supports background checks for gun buyers. All of those stances distinguish him from the incumbent—but where the independent candidate really stands out is on the issue of money in politics, where he sounds like the most enthusiastic Democratic reformers. Echoing the campaign themes of a number of this year’s most interesting Senate contenders, Orman unequivocally backs a constitutional amendment to overturn the Supreme Court’s Citizens United ruling and allow for the restoration of reasonable limits on campaign donations and spending. No surprise there. Over the past three decades, Roberts has secured his spot on Capitol Hill not with a record of accomplishment but with more than $16 million in contributions, largely from corporate political-action committees and wealthy individuals. His top contributors are PACs and individual donors associated with Koch Industries, the Wichita-based conglomerate owned by billionaires Charles and David Koch. The Kochs have made no secret of their desire to deliver control of the Senate to GOP allies like Roberts and McConnell. The Democrats highlighted that fact as they advanced the proposed Citizens United amendment—which, though it fell short of the required sixty-seven votes, produced a measure of clarity with regard to the fight for Senate control. The fifty-four votes for advancing the amendment came from Democrats; the forty-two against came from Republicans—including supposed moderate Susan Collins of Maine, who faces a determined challenge from amendment supporter and ardent progressive Shenna Bellows [for more on Bellows, see Nichols, “ Could an Unknown Civil Libertarian Unseat Susan Collins?,” May 5]. Democratic Senate incumbents who strongly support the amendment, including New Mexico’s Tom Udall and Oregon’s Jeff Merkley, have made overturning Citizens United a focus of their re-election campaigns. So, too, have Democratic challengers such as Bellows in Maine and Rick Weiland in South Dakota. Nowhere, however, are the lines so starkly drawn—or so consequential—as in Kansas. Roberts is apoplectic about the amendment, and he has gone so far as to claim that restoring limits on campaign contributions and spending—limits that existed for 100 years before an activist Supreme Court intervened to remove them—would involve a radical “rewrite” of the First Amendment. Why is Roberts so agitated by the proposed Citizens United amendment? Perhaps he really believes in unequal rights—a stance that would do his current re-election bid no great service, even in conservative Kansas. Or perhaps he thinks he needs a system that allows him to raise unlimited funds—and to have unlimited amounts of money spent on his behalf by billionaires and corporations.